Isn’t it this principle that makes communities vibrant and effective? 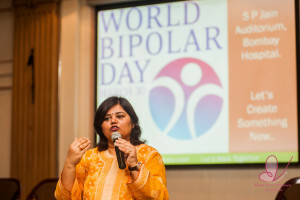 So, we created history by organising an Event on World Bipolar Day 2016 in Mumbai (a first), (do read this linked article by my Chief Inspiration Officer, Jennifer Sertl about our community’s journey, which made it to Huffington Post.) I prefer to call it a success of our community and a huge step forward for our cause. March 30, although being a Wednesday saw not only those struggling from Mental Illnesses and care givers attending the Event, but also thought leaders who generously contributed to the knowledge base by sharing their expertise. What would you say if you were told that people traveled from Delhi, Bengaluru and Hyderabad to be with us on that evening? One man flew in from Abu Dhabi! Surely, those afflicted and/or their family members saw value which made them commit to be with us. 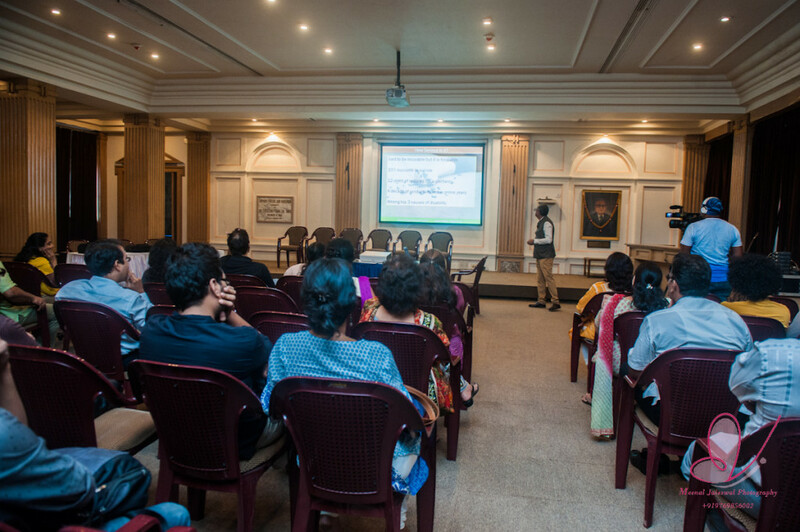 My presentation, the event opener, focused on raising awareness about Bipolar Disorder and ways one could attempt to overcome this serious condition. 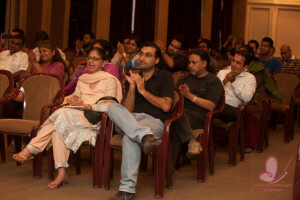 Keeping in mind that people were from all walks of life, the talk was more of an overview. For, the day was about making more and more people aware. Few things connect to the soul as well as music does! Sharanya Natrajan, a very talented performance artist soulfully rendered a song which is now going to be our official anthem~ Let’s Walk Together. The moving song which lent itself so well to the occasion was composed by her as well based on my lyrics. (Watch this space for the final cut of the song, which is now being recorded in a studio). It so happened that it was also her Birthday! How’s that for commitment to compassion? Stories inspire. This story brought goose bumps among us and there were quite a few moist eyes in the crowd, including that of the storyteller, Parul Jaiswal. She recounted her experience of struggle with bipolar and depression, and how it robbed all her vitality and purpose to live. Always a high achiever, from heading operations for a financial company, she had been reduced to finding ways to motivate herself to rise out of bed or to take a shower. It is a matter of pride to me that she graciously attributes her turnaround to my mentoring her as well as to my Book. A person of grace, gumption and a heart filled with gratitude~ Parul, you are a Hero! 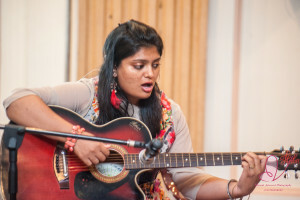 Dance Drama Artist, Chetnaa Mehrotra, gave us an overview of how she and her group uses unconventional art based therapy for healing, especially in the socially oppressed sector. If Mental Illness is a massive taboo in India, so is the subject of sexuality. Niyatii Shah, a Sexuality Educator and Counselor then spoke about the relation between Bipolar Disorder, mood swings and how it affects sexuality of those afflicted. Of particular relevance was the issue of peaking and ebbing of sexual desire along with moods. Hyper Sexuality during mania, resultant promiscuity, stresses in relationships and lack of understanding because of poor awareness was an aspect that is rarely discussed openly. I had promised before the event that there would be the launch of a Social StartUp that would fill in a glaring, unaddressed gap in the lives of 70 Million Indians struggling with Mental Illness. So, the evening saw the soft launch of Let’sWalkTogether.org, which aspires to be a bridge between a community that has proven talent and skills and on the other hand organisations who could use them via the website. This frees the person from the need to report to a 9 to 5 job and eliminate the social fear of interacting with colleagues~ seamlessly. Doesn’t such a massive chunk of society deserve the opportunity to make living with dignity? was a window to how therapeutic participating in such performances could be. Sheetal and troupe, thank you for this enthralling cameo! 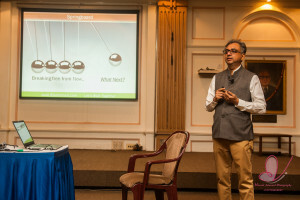 interaction with eminent Doctors and other experts in their domains? 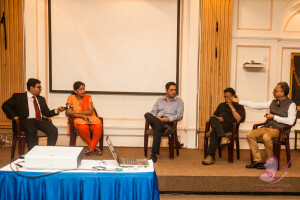 Thus we had a panel discussion thrown open to the audience. Dr Milan Balakrishnan, Psychiatrist, much Gratitude! Not only did he facilitate the magnificent S P Jain auditorium at Bombay Hospital, he enthusiastically participated in organising this Event. Dr Milan headed the panel and resolved many of the doubts that the audience sought clarification for. We also had the privilege of having, Dr Minal Joshi, a Clinical Psychologist at Hinduja Hospital, discussing the mind issues of the condition. Mehernosh Randeria, one of the most qualified trainer/coaches in India spoke about, Fitness, the module of Emotional Fitness Gym that he offers. 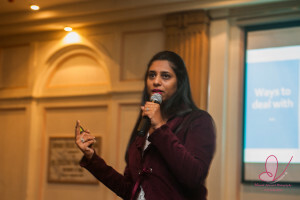 Mehernosh is Certified Life Coach and NLP Practitioner and a certified Gym Trainer as well! Puneet Bhatnagar, my friend and mentor who is a Creativity & Innovation Trainer, concisely summarised the learning of the day. We could have packed in so much more, but being a weekday, the few hours that the event was planned for spilled well into the night. 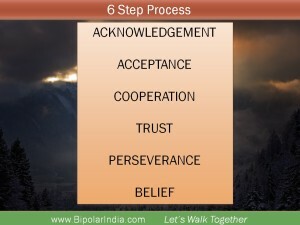 our Peer support member, Shalini, was asked how was she dealing with her husband’s bipolar and depressive episode. He was sitting right next to her. The Speakers, Sheetal and her troupe, Dr Milan, Dr Minal Joshi, Mehernosh and Puneet. Sharanya for sparing time out of her own birthday celebrations and her magical music! photography skills (all these images are clicked by her). This is her contribution to our cause. Many others to thank too, grateful everyone who made the event happen!